Most travel bloggers serve double-duty as both writers and photographers, even though we tend to be better at one than the other. Even if you’re not a professional photographer, however, you can learn easy techniques to improve your photography and make it more visually appealing. Today’s guest post by Kim Olson gives you five composition tips that will add variety to your shots. Whether you’re a beginner or an experienced professional in photography, it always helps to keep in mind the various ways you can compose your images. Some composition “rules” are fairly standard and well known while others aren’t as common and can be easily overlooked. Let’s take a look at a few different ways you can liven up your images by switching your composition. Photographers like to say that you learn the rules so that you can break them when it makes sense to do so. There will definitely be times when you want to completely shun the things you’ve been taught, like the rule of thirds (which may be one of the first composition techniques you ever learned). Sometimes when you’re surveying a scene, you’ll find that the rule of thirds just isn’t working for you and the image would be much stronger if the subject is captured dead center. Symmetry is appealing to humans, so even though centering your subject breaks the rule of thirds, your photo can still work really well. 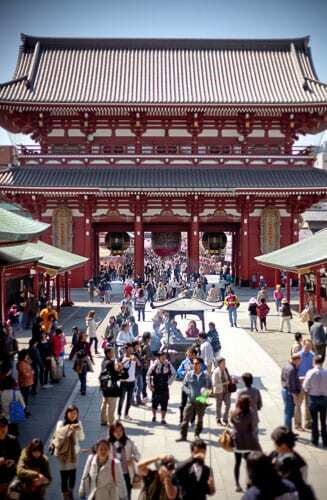 Centered photo of Senso-ji’s Hozomon Gate in Tokyo, Japan. Photo by Kim Olson. Most of us go through our lives seeing the world at whatever height we happen to be – 5’4”, 6’2”, etc. But many times the more interesting images you’ll see were not taken from a standard human’s height. Maybe the photographer got down and dirty on the ground or climbed a tree. Whatever new position they found themselves in, they were able to capture a more dynamic and unusual shot from an angle most of us don’t usually see. If your subject is animals or babies, for example, get down to their eye level. Chances are the images you take of them will be better than if you were shooting down on the tops of their heads. Because of the fur on this Japanese macaque’s head, I wouldn’t have been able to capture his eyes if I hadn’t gotten down to his eye level. Photo by Kim Olson. It amazes me how little some photographers pivot their cameras. I think a lot of them simply forget they can. Shooting vertically oriented is another great way to add a different dimension to your images, and some subjects are far more apt to be captured that way. Even if shooting vertically isn’t your everyday preference, it’s still a good idea to remember that by simply rotating your camera, you can get a whole new composition. 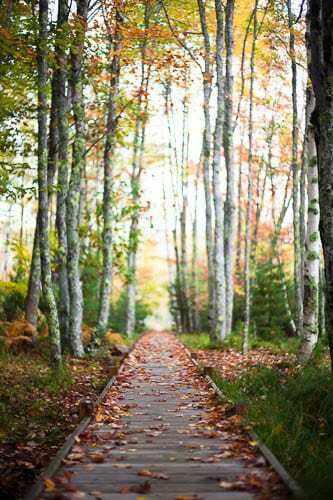 I wanted to be able to capture both the seemingly infinite boardwalk along with the tall, towering trees and the vertical composition worked much better for that. Photo by Kim Olson. Using framing is a great technique and I’ve found it particularly helpful when shooting landscapes or cityscapes. Oftentimes you’ll find that there’s a lot of empty space that feels kind of blah. A good way to fill it and complete the image is to frame your subject. By frame I mean introducing another element into your photograph that will essentially “wrap” around your subject on one or more sides. If you look at other photographer’s images, you’ll probably start to notice this a lot with trees. Many times the main subject will be a building, like the Lincoln Memorial, and the photographer will use blossoming cherry trees to engulf the structure. 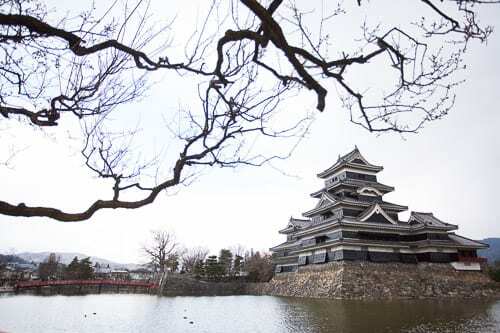 The sky would’ve been a bit too vast for my taste had I not positioned myself under the tree, which helped fill the space and frame Matsumoto Castle in Japan. Photo by Kim Olson. Whether they’re manmade or natural, different patterns can be very visually appealing. Many times these things may go unseen except to the very keen observer, but those who do find and photograph them will be rewarded with compelling images. Patterns can be repeating lines, like columns of a building, or more abstract and random like shadows on the ground. To really capitalize on a pattern’s effect, you’ll want to zoom in and isolate it so that the pattern fills the entire frame. 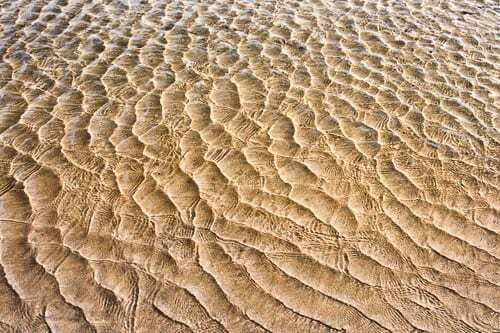 This shot was taken on the shores of Lake Tahoe, California, as the wind and sandy bottom created this lovely pattern. Photo by Kim Olson. There are so many different rules and suggestions for how to compose your images, but I think a lot of it comes down to how you feel like photographing your subject. You are the artist, after all. So however you capture the scene, if it is really appealing to you, then the image is successful. Of course that’s not to say that we can’t all improve as photographers and learn more and better ways to create images that are more broadly appealing. With practice, trial and error and feedback from others, we’ll all be able to keep on getting better and creating more images that we’re happy with. Author bio: Kim Olson is a photographer, traveler & writer who shares simple weekly photo tips on her site www.simplerphoto.com. You can also find Simpler Photo on Facebook and follow Kim on Twitter @kimolsonphoto. Great tips. Love the vertical shot in the woods…that is the perspective I generally take for those photos. Gives so much more depth than when done horizontally. 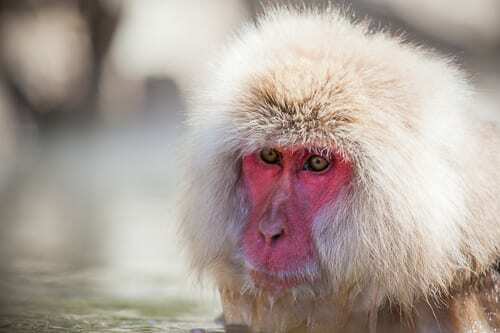 Great capture on the monkey too. Nice use of depth of field. good tips for me who love taking pictures when i travel..wish i am a PRO..thanks for sharing this info. Excellent, actionable, easy photo tips! Thanks!